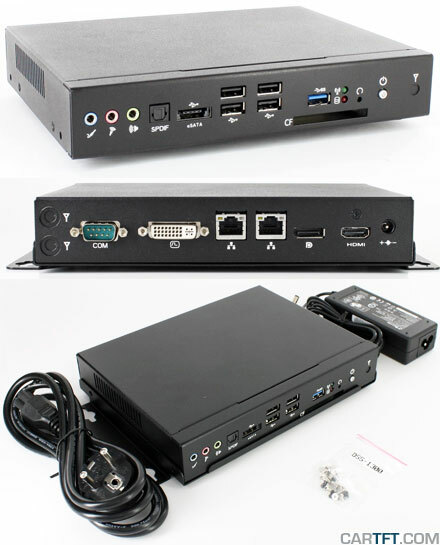 This MiniPC was especially designed for fleet applications. The Car-PC can be connected directly to the car battery (12V/24V). Based on ignition plus, the PC will start and shutdown. 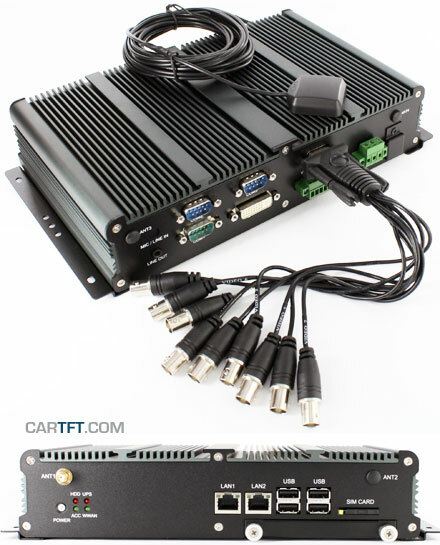 The Carputer is completely fanless and is equipped with an AMD G-T56N 2×1.6GHz CPU and 2GB RAM. Simple, but efficient : With this enclosure you take full advantage of the small form factor of the Intel DN2800MT Half-Height mainboard. And with its dimensions of only 199x180x39mm it has, with an internal volume of less than 1.4 liters, room for one 2.5″ harddrive or SSD drive. The enclosure can be operated fully fanless with the Intel DN2800MT even under full load in continous operation. 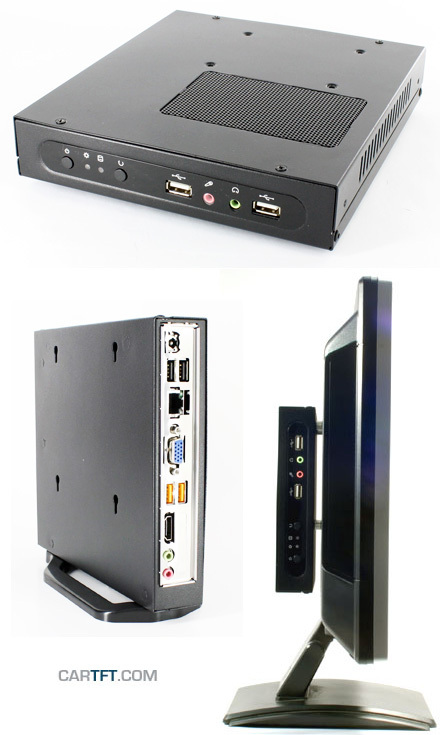 The enclosure can also be equipped with other Thin-ITX mainboards.